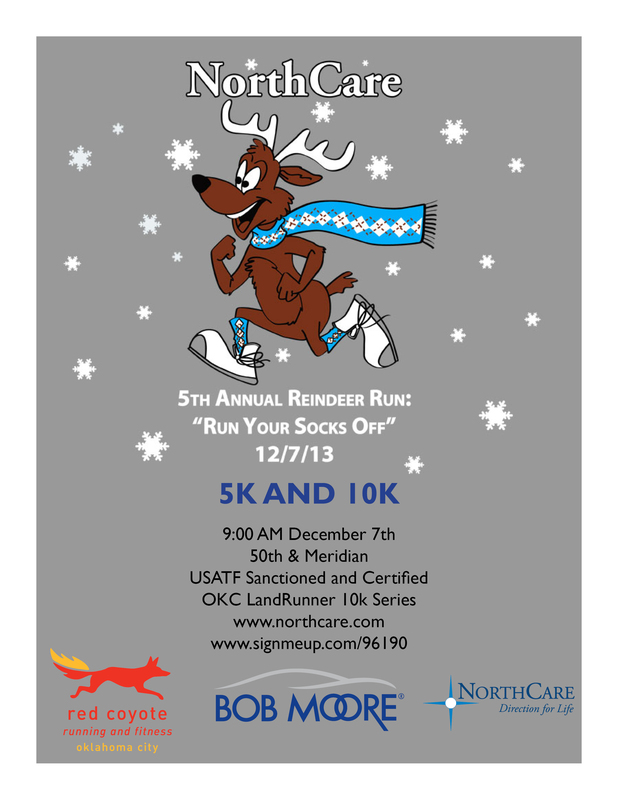 Oklahoma City Running Club - Landrunners - NorthCare Reindeer Run 5K & 10K* Cancelled due to winter storm! NorthCare Reindeer Run 5K & 10K* Cancelled due to winter storm! In the interest of the safety and well-being everyone registered to run and volunteer in NorthCare’s 5th Annual Reindeer Run, NorthCare is canceling the event. We believe this is the most prudent course of action for all those involved. We would like to invite you to run in the Downtown in December Santa Run on Saturday, December 14th. Details will follow early next week. We truly appreciate your support of NorthCare and the Reindeer Run. Thank you for registering for the 5th Annual Reindeer Run and we hope that we will see you next year!